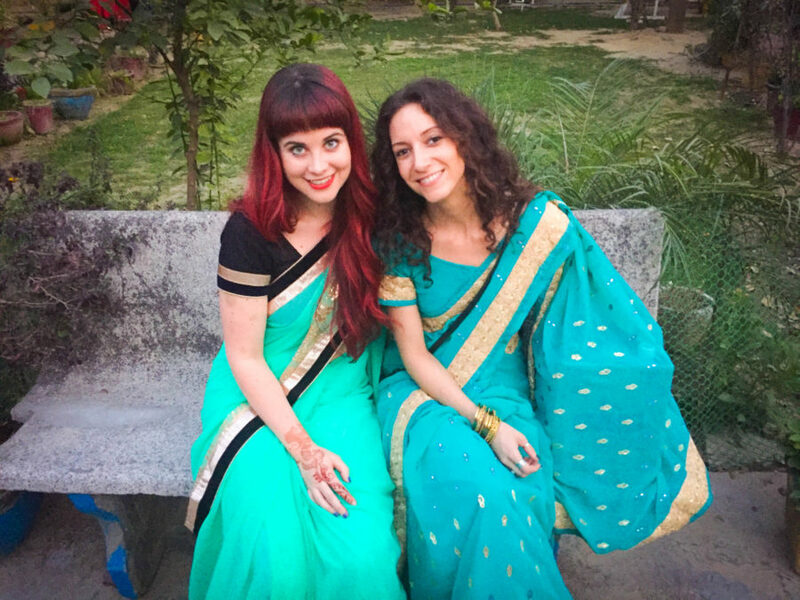 I just got back from a 2-week vacation in India and it was unbelievable. I went with a bunch of my bestest friends as well as my boyfriend to see our best friend Taylor get married. What an amazing experience!! 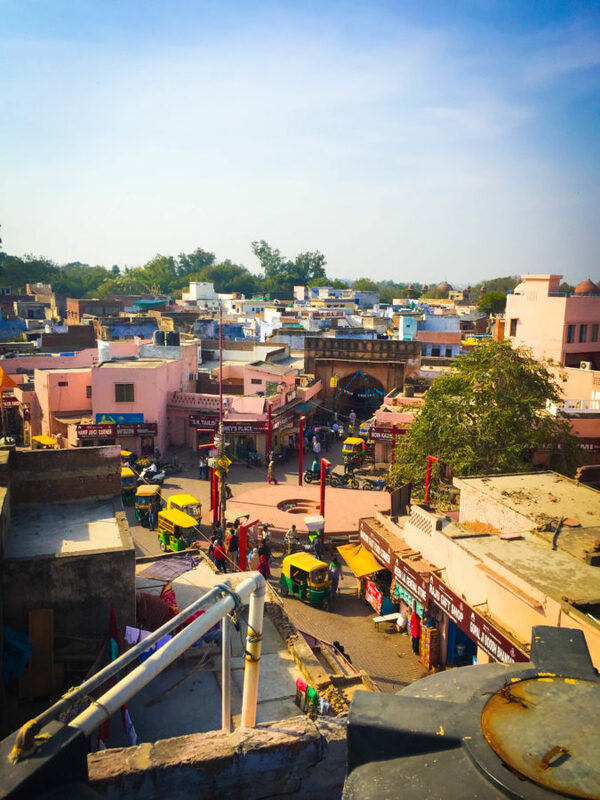 We flew into Delhi on a direct flight from Vancouver…which equates to 14 hours of hell when you can’t fall asleep on the plane! 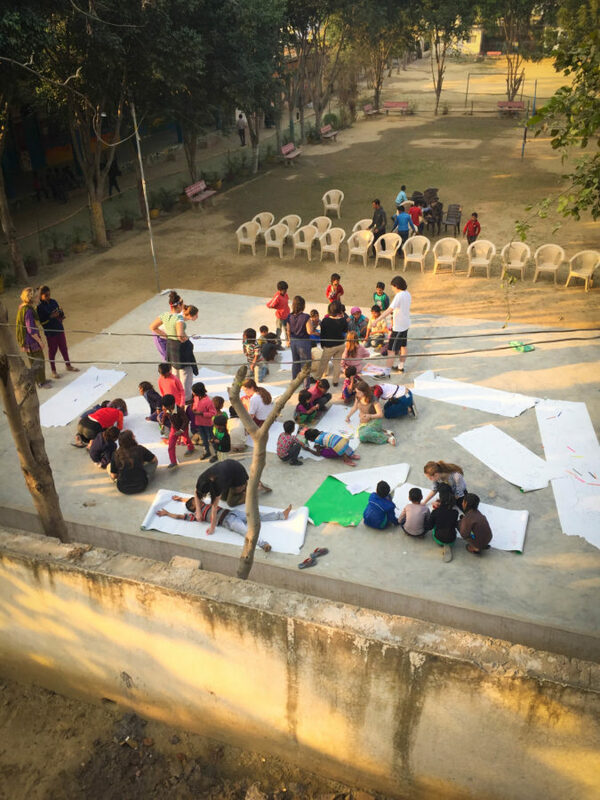 We took a bus to Tender Heart NGO in Faridabad, the school we would be staying at for the first week of our trip. Taylor had volunteered at Tender Heart for ‘6 weeks’ a couple of years ago. ‘6 weeks’ quickly turned into 6 months and countless return trips after that. 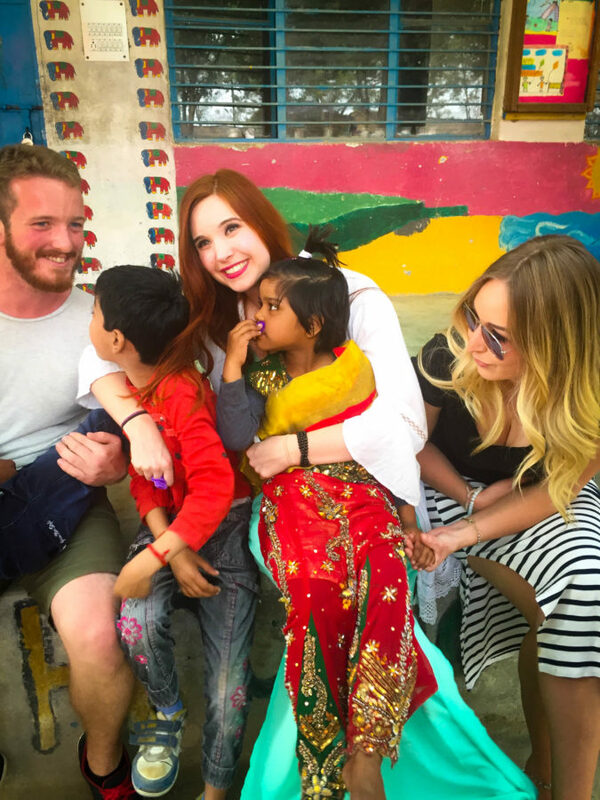 Her stories and photos were amazing but we knew there had to be something else that kept Taylor going back to India. Then we found out about Arjun. He worked at Tender Heart and the two of them had fallen in love! Finally, years later we all had the chance to meet him…just a couple of days before the wedding! He was everything Taylor had told us and more – what an awesome guy!! 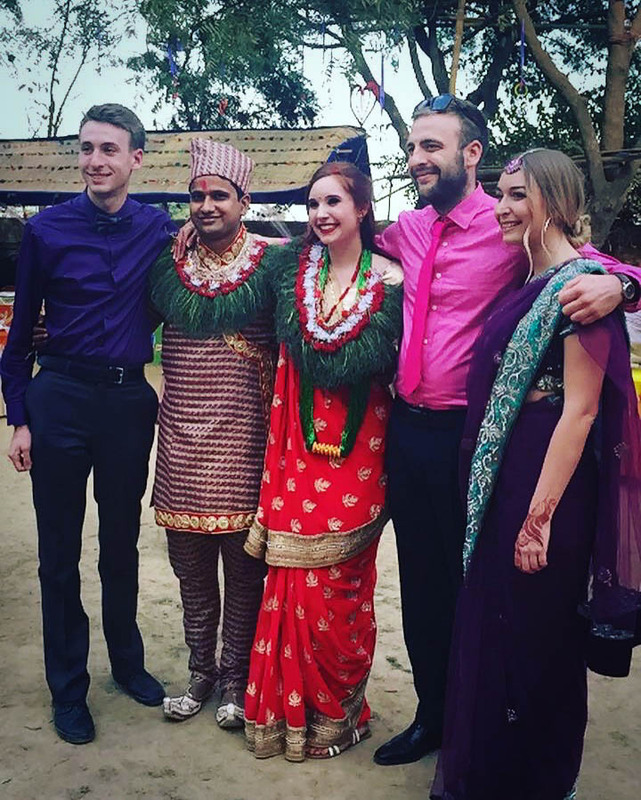 I couldn’t be happier for the two of them and couldn’t have made it through India without all of their help. Travelling is always a crazy life-changing experience but when you get to go halfway around the world with your closest friends it all seems even more unreal. 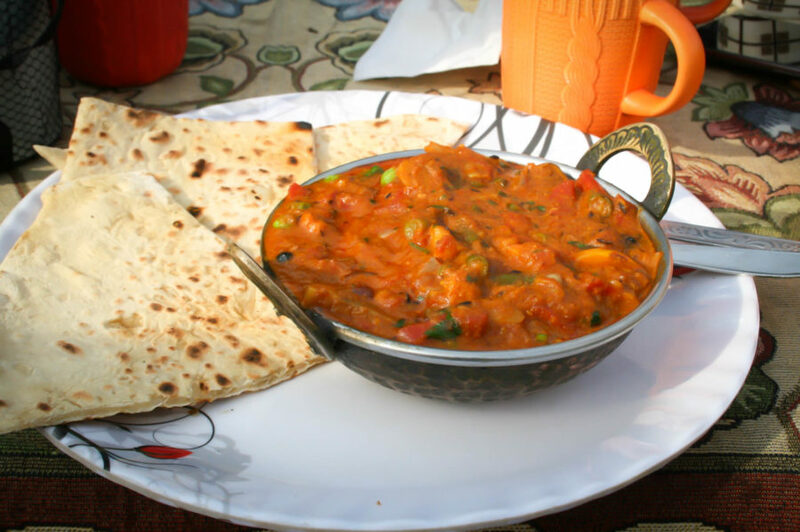 An unreal Veg Kadai meal – soooo tasty! 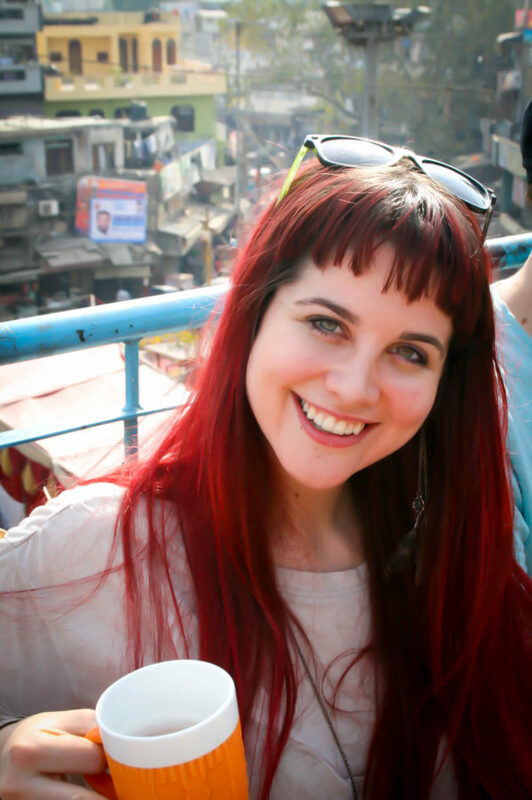 Delhi was hot, crowded, full of traffic and overwhelming! A couple hours away, Tender Heart felt like an oasis in the desert. 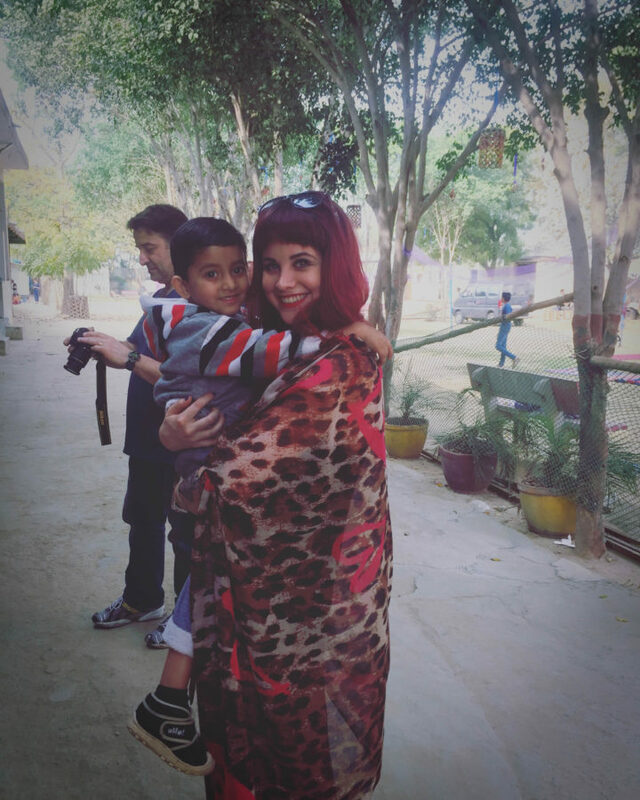 It was calm, quiet and full of the cutest kids!! 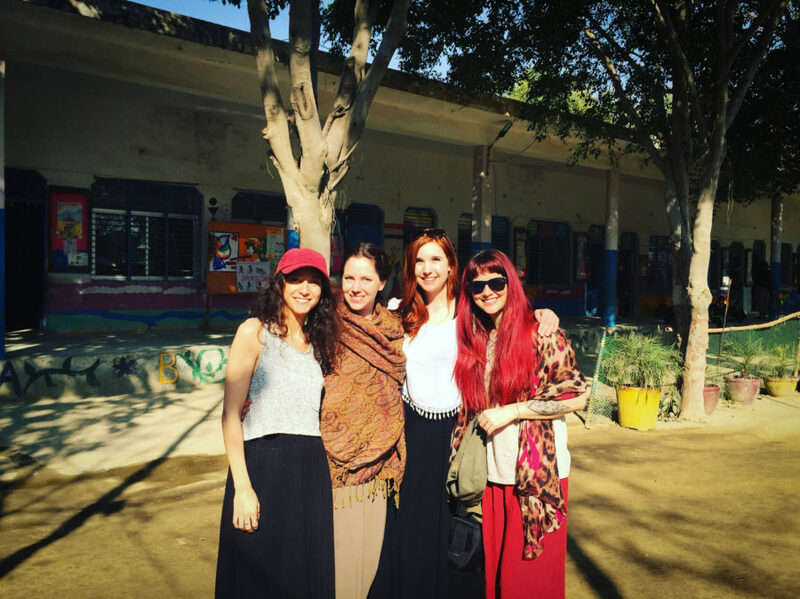 The staff at Tender Heart are so hardworking and provide a wonderful education for all of the students. If you are ever looking to do some volunteer work around the world, I strongly urge you to look into Tender Heart. 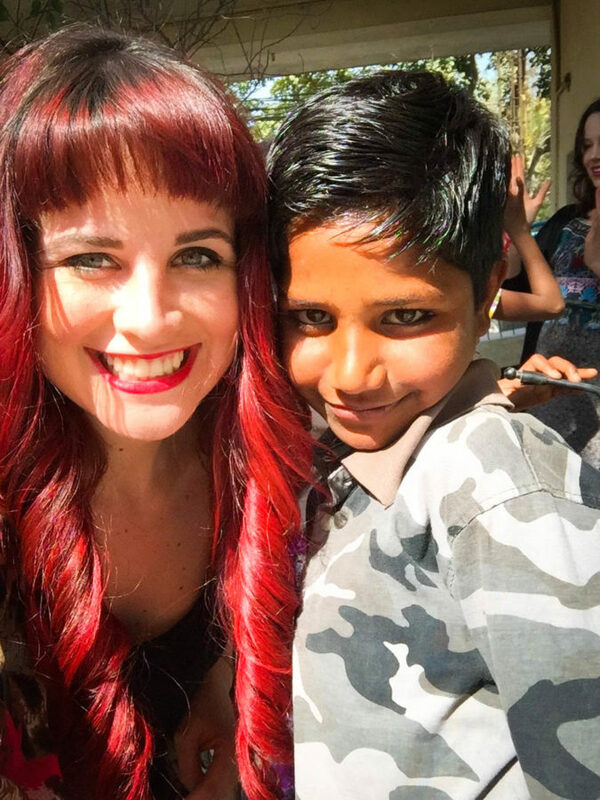 The work they do for children and women in India is so important (more information below). 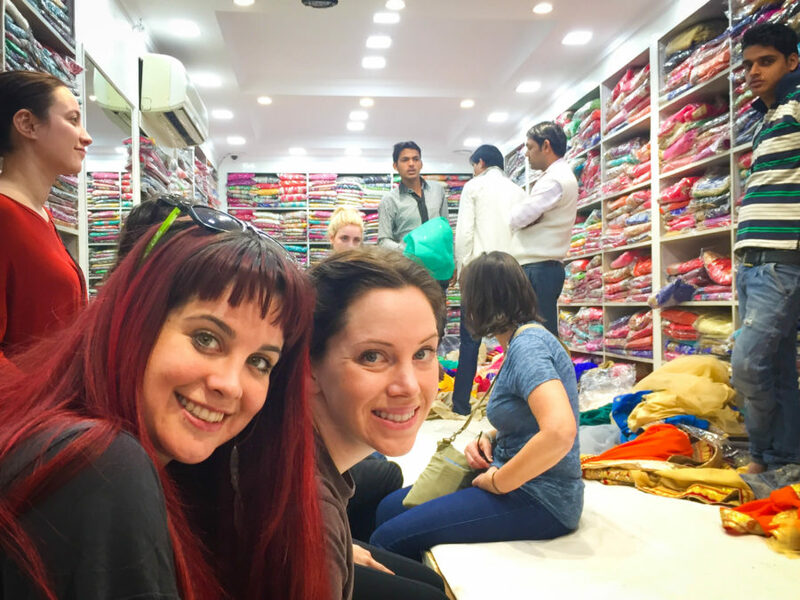 I also enjoyed Faridabad where the school was located and we were able to go into town and have some fun picking out our wedding saris! Kids and volunteers having fun at Tender Heart! We visited Chandni Chowk market in Delhi where spices, teas, cloth, fruit, nuts and anything else you can imagine are sold. We sneezed our way through the spice area as the aromas were so strong and tried to keep our group together in the crowd. This place was packed. I feel like I have never been somewhere so busy in my life. The streets were filled with tuk tuks, bikes, cows, dogs and people and on the sidewalk you have to push your way through whoever you can in order to take your next step. As someone with pretty high anxiety, I found Chandni Chowk absolutely overwhelming but I’m so thankful to have experienced this place. I have to say, it is a must when visiting Delhi. 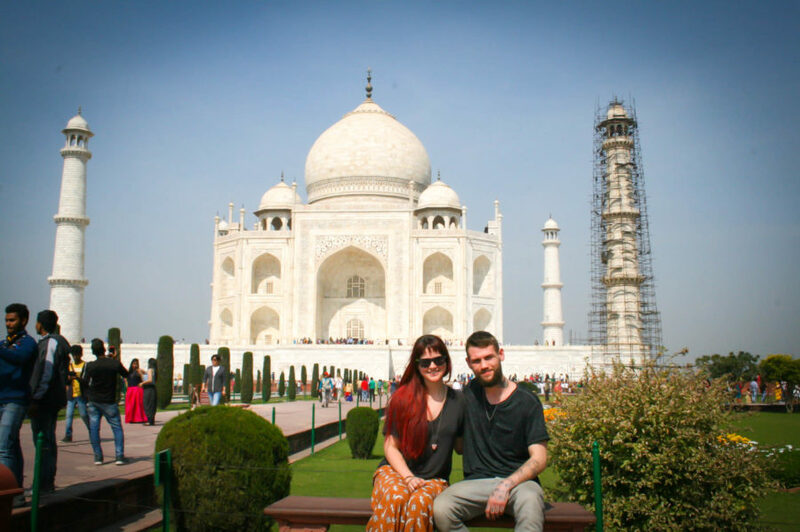 Of course we had to head to Agra to see a wonder of the world – the Taj Mahal. 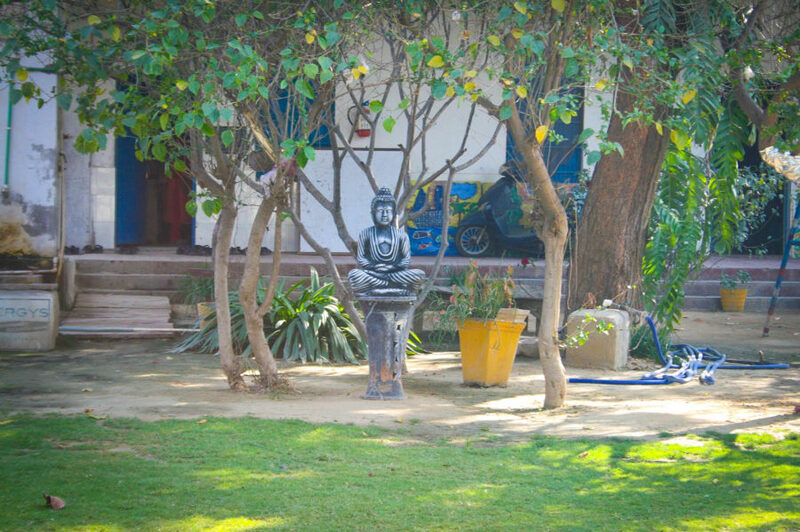 It was about a 6-hour bus ride each way from Faridabad but man, was it worth it. 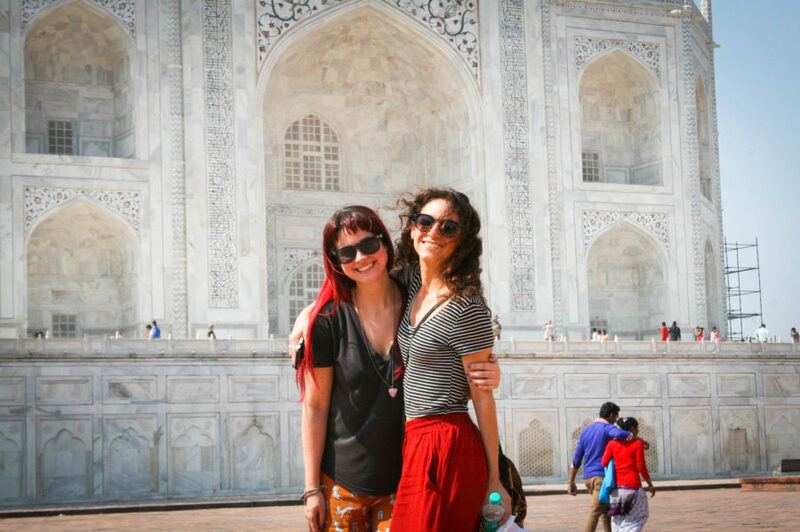 The Taj Mahal was so much more remarkable than I even expected and I beg you to visit it if you ever have the chance. It is a massive building ornately built from ivory and decorated with stunningly beautiful carvings and paintings. The Persian text was captivating as it scrolled around the building’s entrances. We arrived mid-day and it wasn’t nearly as busy as I thought it would be. I expected to have to wait in line for ages but there was barely a wait. 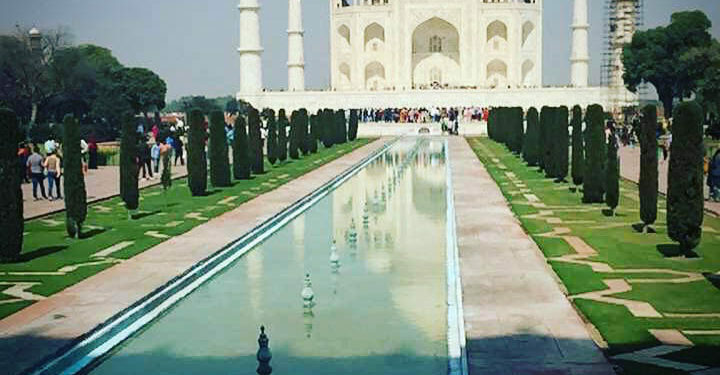 Getting photos on the benches in front of the Taj is where you need to be quick! Jared, can you build me one? 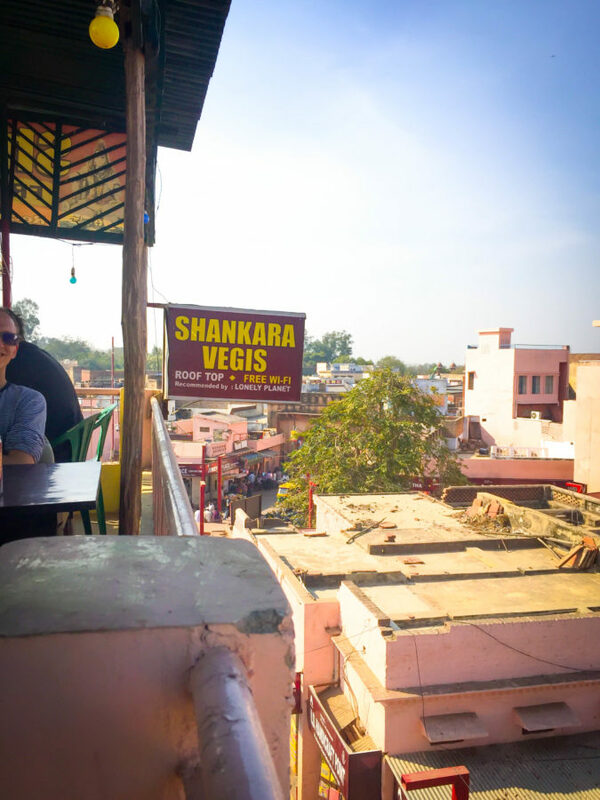 After you experience the wonder of the Taj Mahal, be sure to head to one of the nearby rooftop patios for some discreet KingFisher beer and delicious vegetarian eats. Squad had quite the time here….got a little out of hand. Highly recommend. 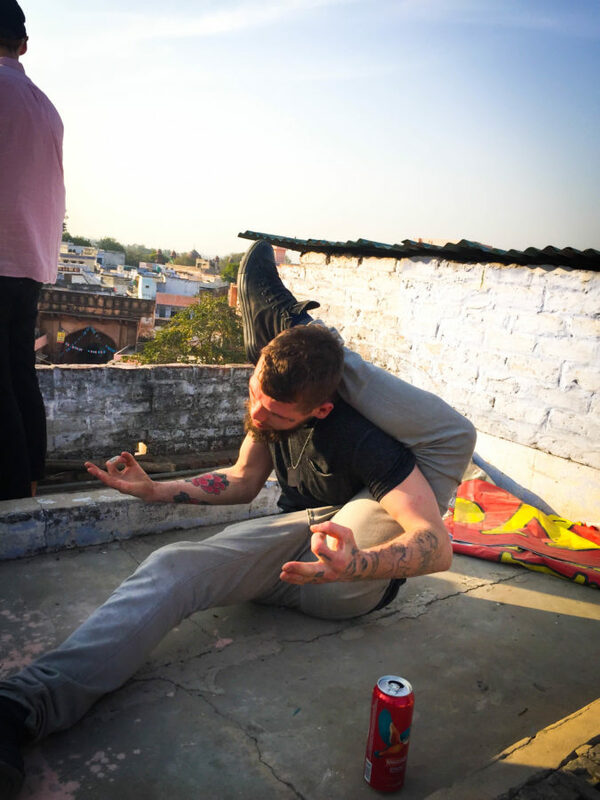 Jared enjoying a ‘zen’ rooftop moment and showing off his yoga skillz. One of the coolest moments of our trip was helping serve 200 kids from the surrounding slums a delicious hot meal. These are the sweetest children who were so excited to be there. It made me so happy to see these kids getting a nice meal and having a fun time. How rewarding to play a small part in that. Of course the flipside is heart-breaking. These kids walked from wherever they lived to the school to receive this meal. I saw a barefoot girl, maybe six years old with her baby brother on her hip and towing her other young brother by the hand. She fed them both and took such great care of them but she was only a child herself. We gave the kids goodie bags filled with toys and clothes that had been brought over from Canada – they were so thrilled! “Miss, please! 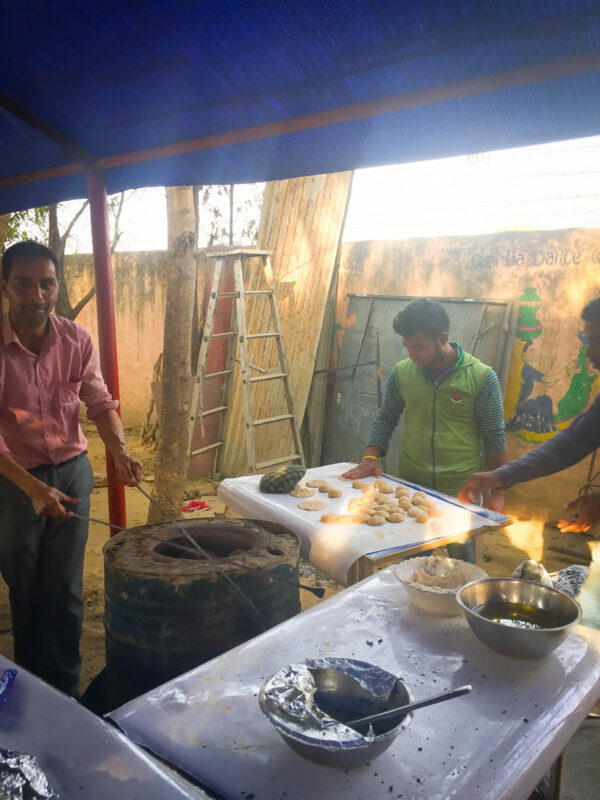 More roti!” The kids couldn’t get enough of this delicious roti. 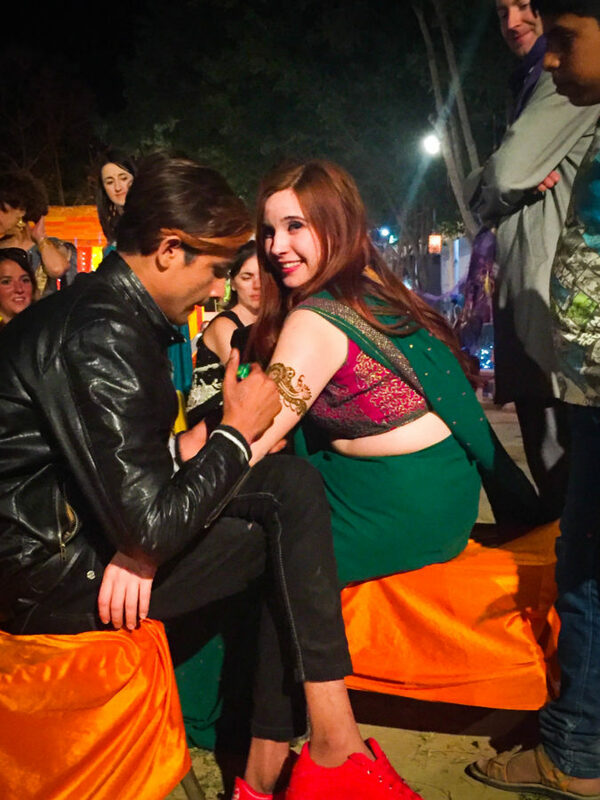 The next night was the henna party where Taylor would find herself sitting still for hours until she had full sleeves of henna on her arms and her feet covered, too. I only had to sit for about twenty minutes until my hands were fully henna’d…thank god!!! It was a huge night of festivities with music and dancing and tons of food. 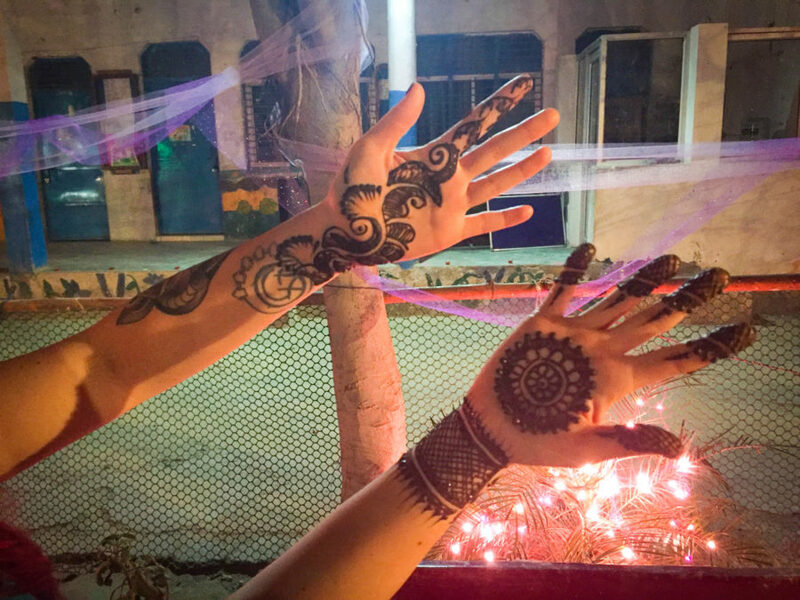 Taylor getting her bridal henna done. My henna…I wish this was permanent!! 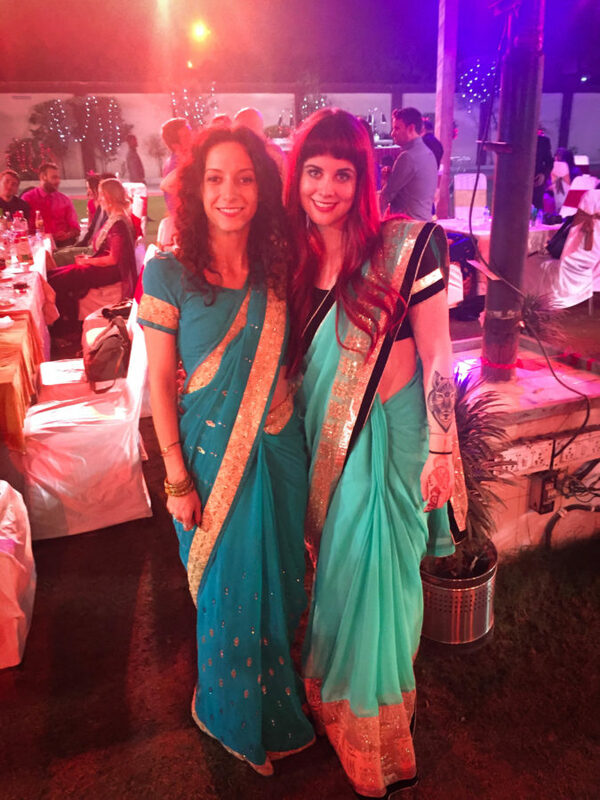 The wedding itself was pure craziness!! It began with drumming and dancing down the street to the ceremony. 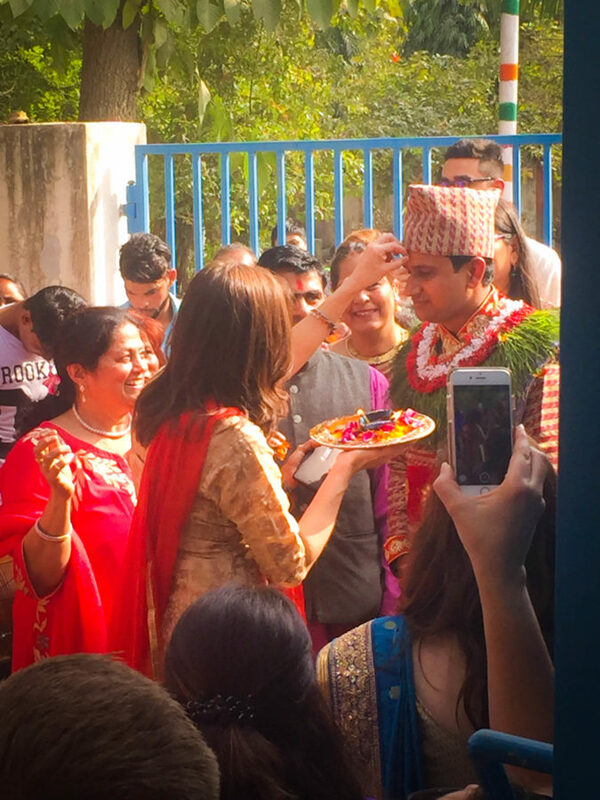 It was a Nepalese ceremony that traditionally takes 9 hours….but was cut down to about 2 because us Westerners just couldn’t hack it. 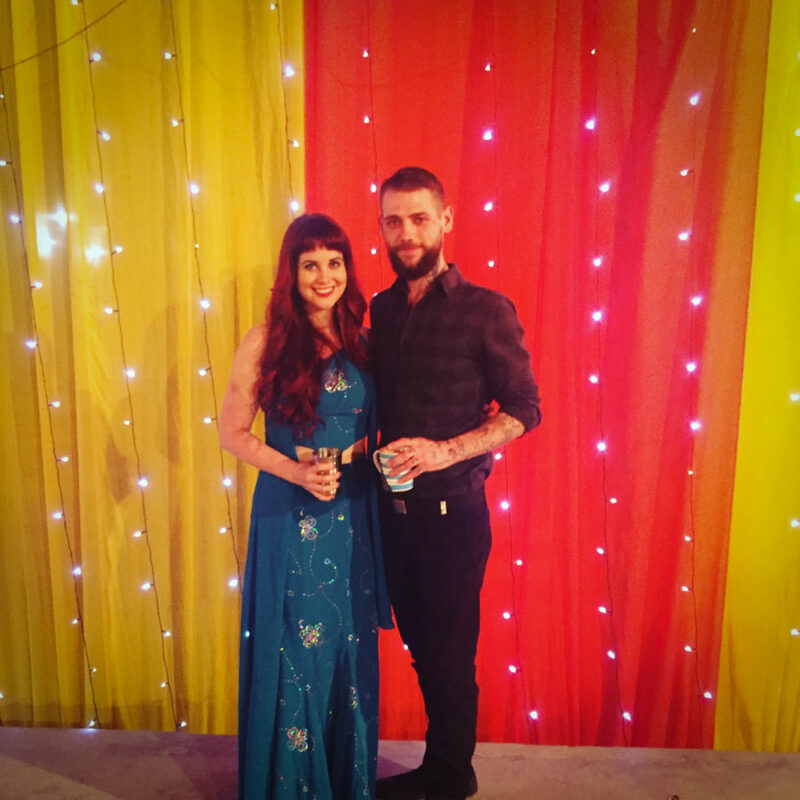 Taylor and Arjun looked stunning in there Nepalese attire. Taylor’s mom and Arjun as he enters the wedding ceremony. 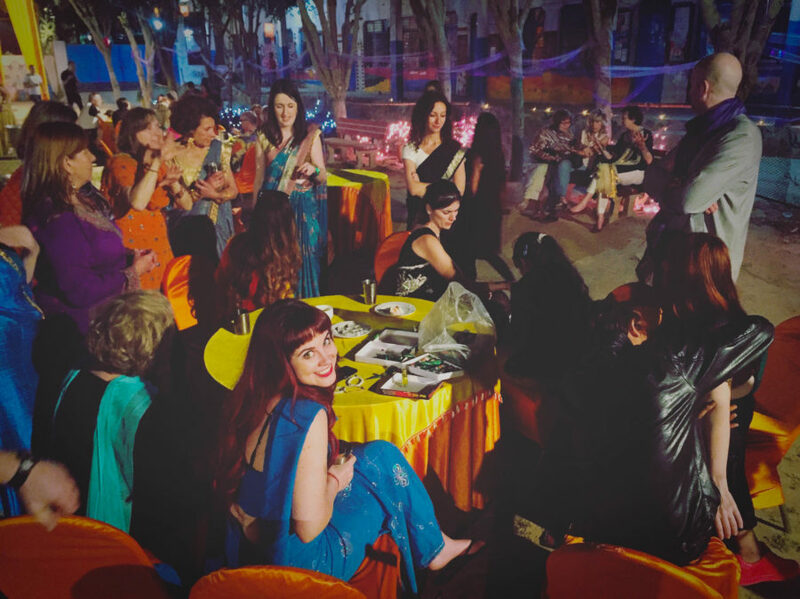 The reception was just as extravagant although we had to sneak in 16 bottles of booze…good things saris have a lot of extra fabric! We drank and danced and ate until we couldn’t move. I now understand what everyone says about Indian weddings! They are the best!! 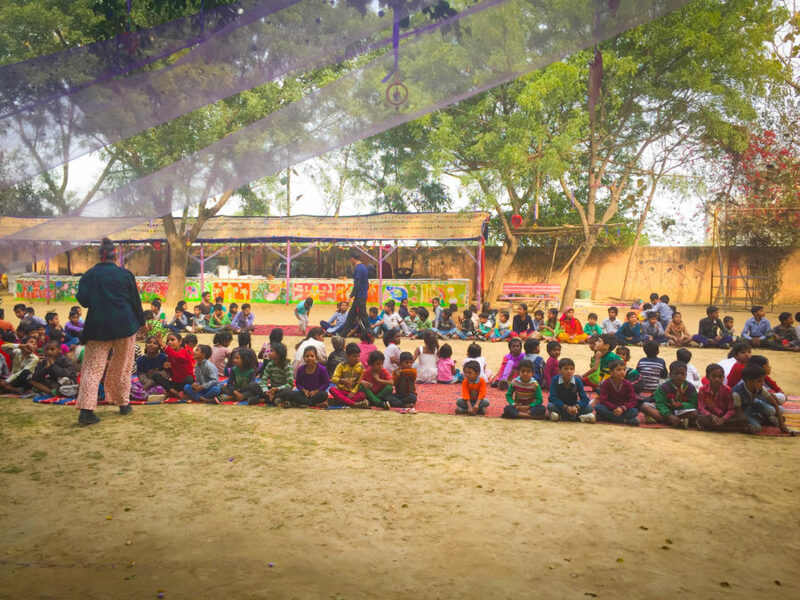 For more information on Tender Heart NGO and to learn more about volunteer opportunities, please click here. Stay tuned for our experience in Varanasi coming next week. 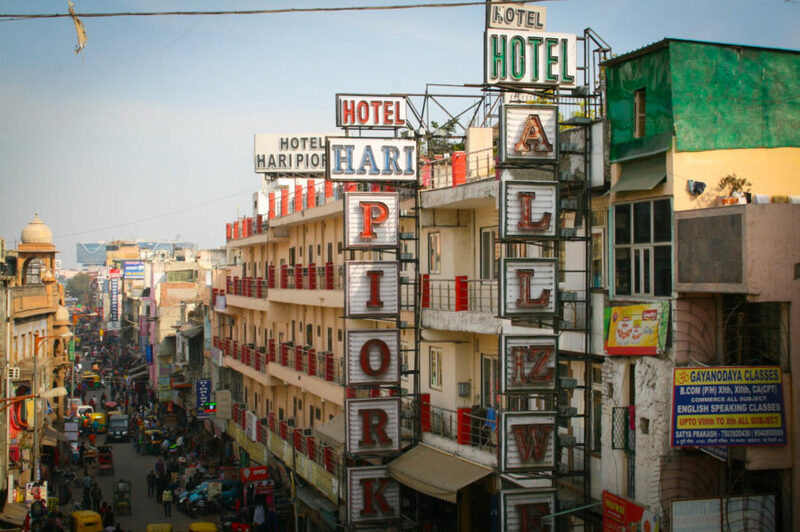 A city critical to the development of Buddhism and the holiest city in India. 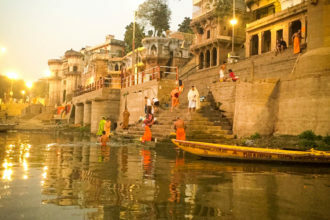 It is suggested that urban settlement began in Varanasi in 2000 BCE, making it one of the oldest continually inhabited cities in the entire world.